LINCOLN – Jennifer A. Huxoll, Palmyra; S. Colin Palm, Plattsmouth; and David J. Partsch, Nebraska City, have submitted applications for appointment as County Judge in the 2nd Judicial District consisting of Cass, Sarpy, and Otoe counties. 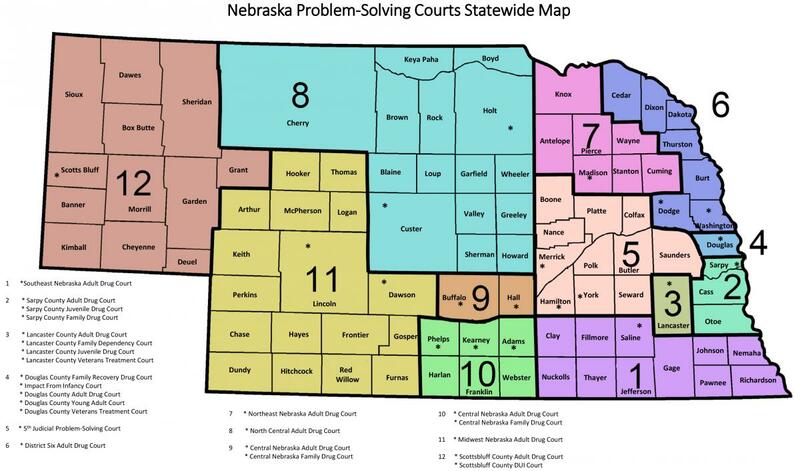 The primary place of office for the judicial vacancy should be alternatively in either Plattsmouth, Cass County, Nebraska, or Nebraska City, Otoe County, Nebraska. The vacancy is due to the retirement of Judge John F. Steinheider. The public hearing of the Judicial Nominating Commission will be held at the Otoe County Courthouse, 1021 Central Avenue, district courtroom no. 208, Nebraska City, Nebraska, beginning 10:00 a.m. on Tuesday, March 5, 2019. The Commission will review all applicants for the office at that time. The public is welcome to attend the hearing and present information concerning candidates for the judicial opening. For special accommodations relating to the Americans with Disabilities Act, please call (402) 471-3730. For persons who are deaf or hard of hearing, please call the Nebraska Relay System, 7-1-1. AA/EOE.